If there's one thing I'm not especially a big fan of when designing a website, is to find a unique style, or at least the most appropriate one for the main navigation list. 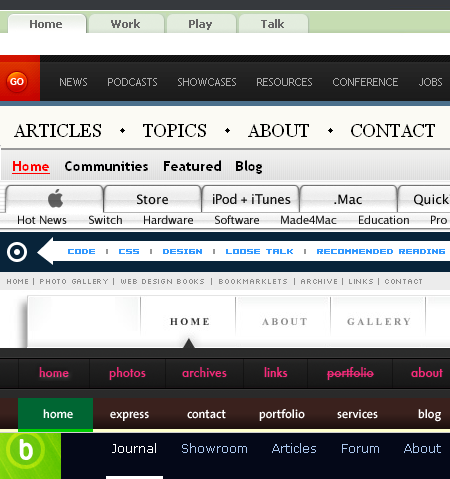 Many times I've found myself using the same old and boring navigation scheme. So if you're like me and you need inspiration, here's something some of you might enjoy. 50 (or almost) different horizontal navigation styles.